Why Convert Your Old VHS to DVD? 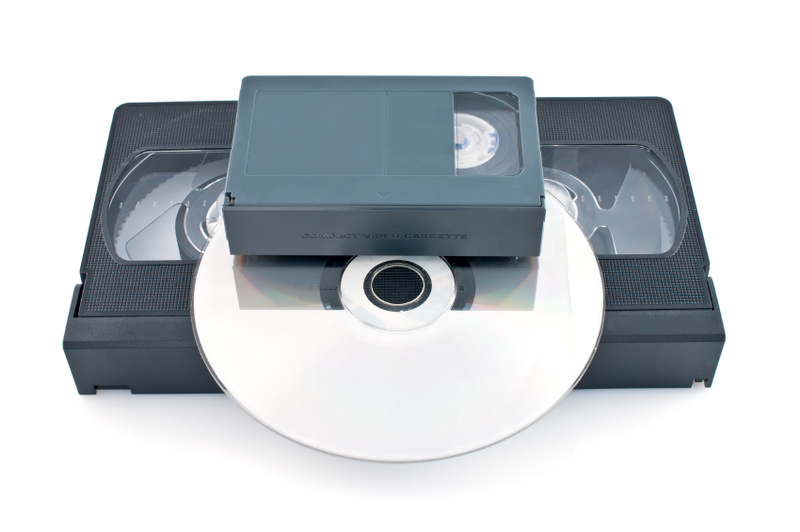 Many people have home movies on VHS or Betamax tapes and other video formats that contain irreplaceable footage of family events, weddings, special occasions, recitals and more wants to convert VHS to DVD. Due to the fact that these magnetic tapes break down over time, it is a good idea to Convert the Videos to a DVD to make sure the video quality and the video itself is preserved. 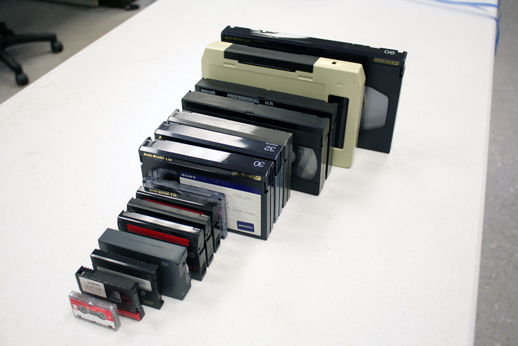 Before you want to consider converting, you need to consider that as a magnetic tape ages, some of the chemicals in the tape absorb moisture from the air and make the VHS or Betamax tape “sticky”. The tape will curl and stick to itself as it unspools causing video and audio quality degradation. These problems will make auto-tracking difficult for your video tape player and result in poor quality playback. Worse yet, it can be very damaging for your VCR player. This gummy residue will stick to the heads of a VCR and the only way to clean it will be to dismantle the VCR or take it to a professional as the tape transport mechanism of a VCR is very complex and standard VCR head cleaners will not remove this gummy build up. It is best to rejuvenate the tape before playback to maximize the quality and minimize the potential for damage to your tapes and your VCR. 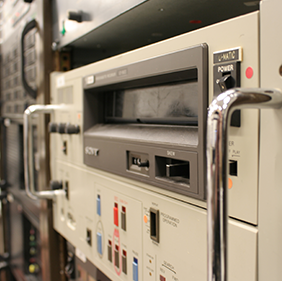 The Two Squares magnetic tape rejuvenation process can significantly improve many older tapes to ensure the best quality digitization possible. The design and manufacturing of quality VHS and Betamax decks are a thing of the past. The best quality decks were made in the 80’s and early 90’s and can be hard to come by today. If you happen to have one still in storage, it would likely need some work to make look and sound good enough to enjoy. 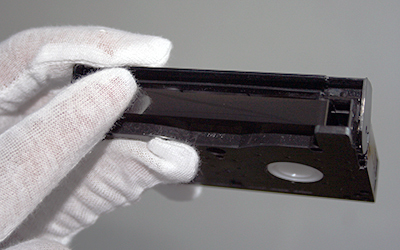 Magnetic heads need to be properly maintained and drive belts will stretch out on older video decks which cause a variety of issues. Using a video capture card for your computer can affect quality as well. Computers have a lot of “electronic noise” from switching circuits and fans that will bleed into your capture that will cause distortion in the video and unwanted noise and hiss in the audio. Even for a non-professional this can be a very noticeable. The best quality comes from properly grounded, external (from the computer) studio grade digital conversion devices. 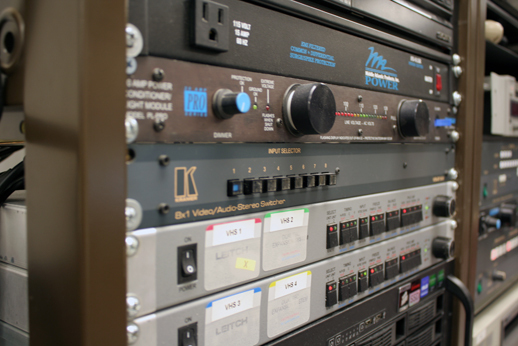 Two Squares uses only studio grade audio and video equipment, and this equipment is also professionally maintained and tuned to ensure the best possible digitization quality. An interlaced video is a video that only contains information for every other line of the video for alternating frames. This means that rather than having 29.97 frames per second of video, you will only have half of the frame (every other line) for ~15 frames per second and the other half of the lines for the other ~15 frames. This concept was introduced many years ago for standard definition TV signals to lower the overall RF bandwidth over the TV air waves. This type of video also worked well with cathode ray tube based TVs. For modern LCD and Plasma TVs, you want non-interlaced video to avoid the interlacing artifacts in half frame video. In an interlaced video, you will see a lot of jagged edges on moving objects. Two Squares video capture process produces only non-interlaced videos even if the original video/tape is interlaced. Your video can also experience an improvement in quality by taking advantage of a television/video studio tool called a Time Base Corrector. To learn more about this, click HERE. 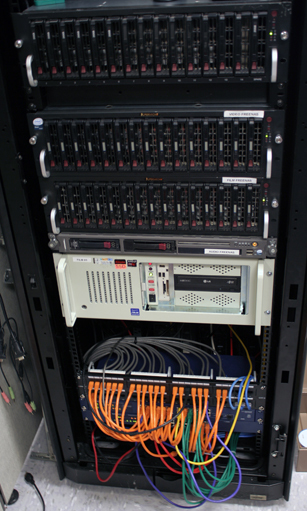 Please contact us if there is a format that you not seeing as we are constantly adding, improving and upgrading our equipment. Two Squares can convert the video from your VHS tapes to a set of AVI or MPEG files which can be copied to an iPod, hard drive, or flash drive.